Beach lovers will find plenty of options in Massachusetts. By some counts, there are more than 100 places to choose from. So, how will you choose the perfect waterside spot for your summer adventures? Which Massachusetts beaches are truly the best of the best? Here’s a look at the standouts—the Massachusetts beaches worthy of a trip from anywhere. Year after year, the one New England beach that sneaks onto Dr. Beach’s list of the Top 10 Beaches in America is this Cape Cod gem in Eastham, Massachusetts. 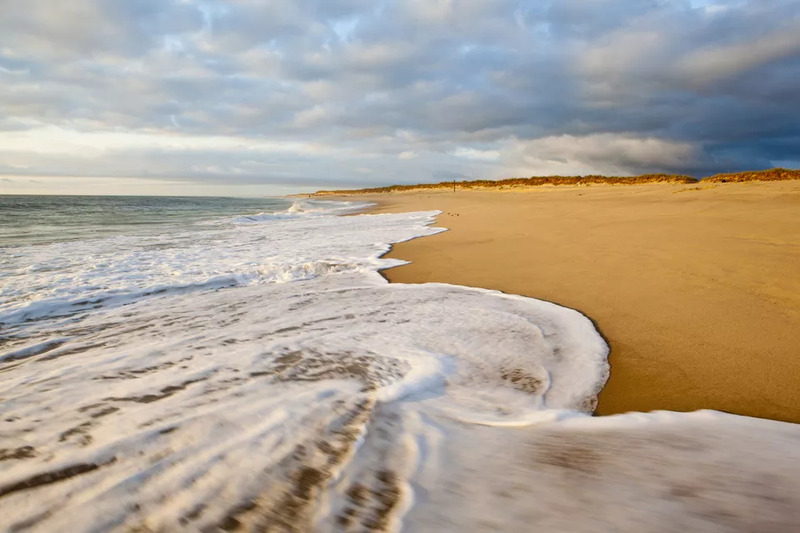 Coast Guard Beach is the most attractive and invigorating stretch of sand within the Cape Cod National Seashore, and it’s the most visited of all of New England’s national parks. During the summer, you’ll need to catch a shuttle bus from the Little Creek parking area to access the beach, which also has a historical claim to fame. This was the site of the Pilgrims’ first landfall, 65 days after these freedom seekers set sail from England. Ocean water stays nippy here all summer, but the views of shivering dune grasses and the old Coast Guard Station make this steep beach sliding into the sea a picture-perfect place to be.